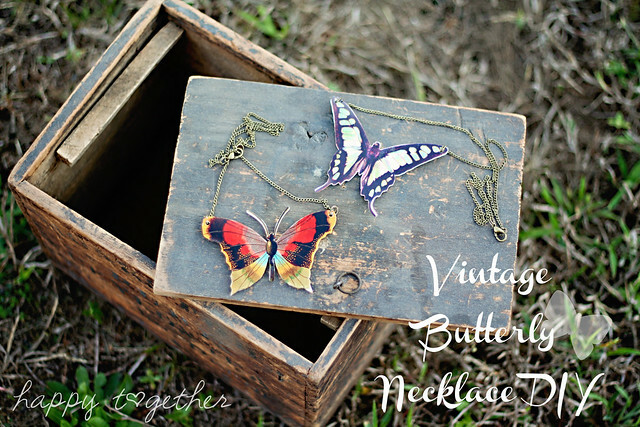 If you have been reading my blog, you know that I have a soft spot for vintage things. I especially love the vintage graphics that were used on postcards, advertisement, etc. 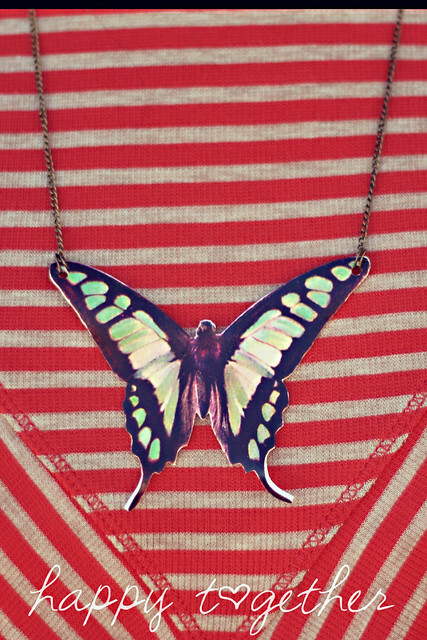 So I wanted a necklace that was a butterfly, but not just any butterfly. One that looked like it came off of a vintage valentine or something. 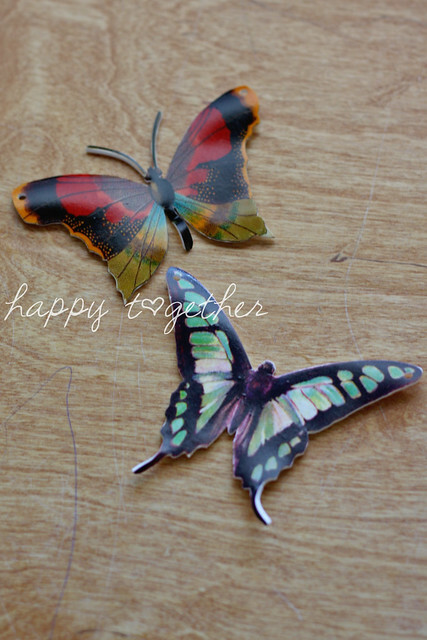 I thought and thought of how I could make this happen and then it came to me: printable shrinky dink paper. Yup. That’s it. – lobster clasp for end closure, or another closure of choice. Begin by preparing your graphic to fit on a piece of printable shrinky dink paper. I created an 8″x10″ document in word and then made the graphic as big as I could for printing. I highly suggest you do a print test on regular paper first. The paper also comes with instructions on how to prepare the graphic (you have to fade it down before printing), so follow those instructions as well then print. Once it’s printed, cut it out. I had to use manicure scissors for some of the tighter areas. 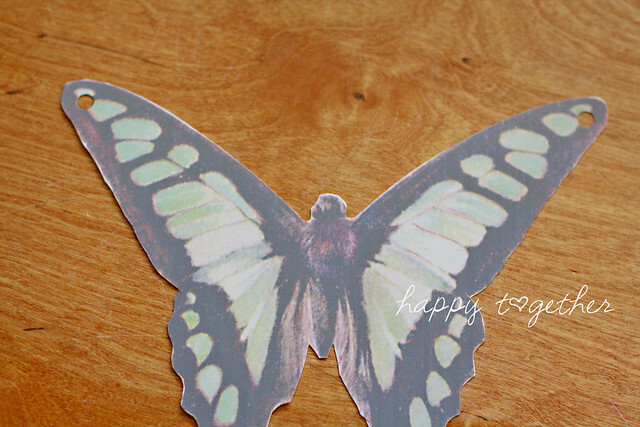 Then take a hole puncher and make a hole in each of the wings. I don’t have a picture for this next part, but prepare to stick it in the oven according to directions. 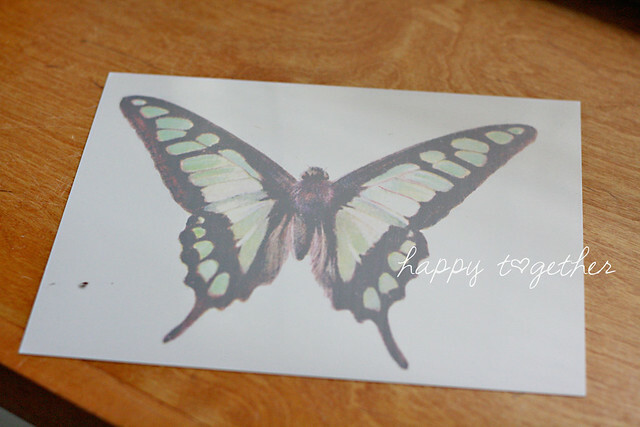 Really keep an eye on it because I had to flatten out each butterfly myself before it got too hard. The wings and antennae are prone to curling, and if it gets hard you can’t flatten it back down. I tried to reheat it to get it bendy again, but it didn’t work. Once it has cooled off you need to cover the printed side with a coating. 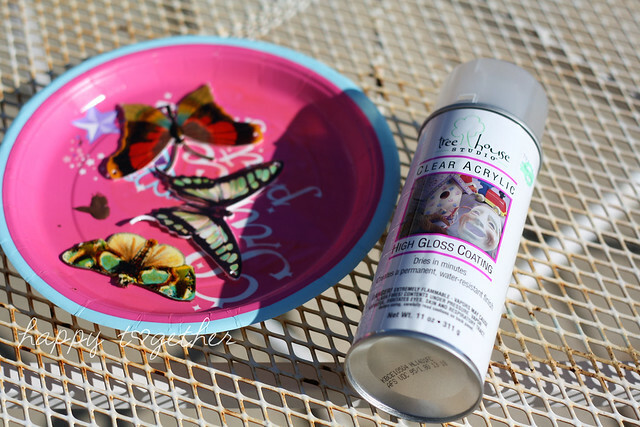 The paper instructions suggest Krylon acrylic coating as the best, but the coating in the above picture is what I found and it worked great. I guess you could use mod podge or another medium, but I didn’t want to take the chance of the ink bleeding by painting that stuff on. After spraying, let it dry for a while. Now its time to make it into a necklace. 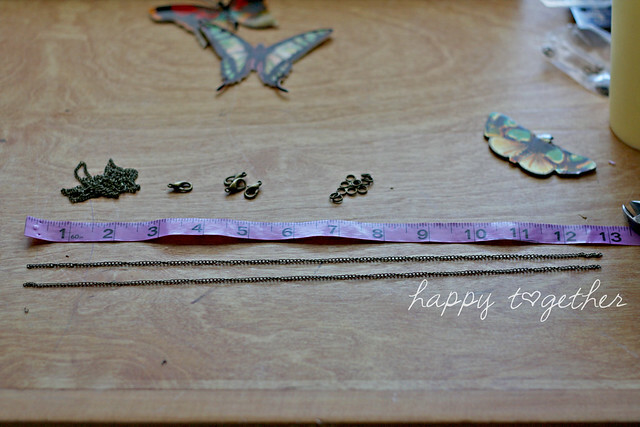 Cut two chains for each side at your desired length. 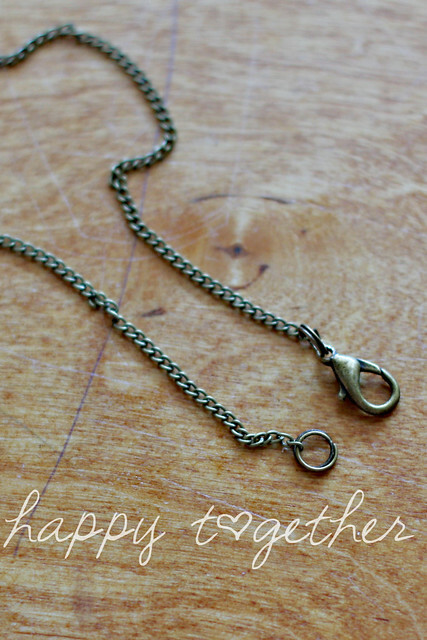 I did 13″ for one and 11″ for the second necklace. 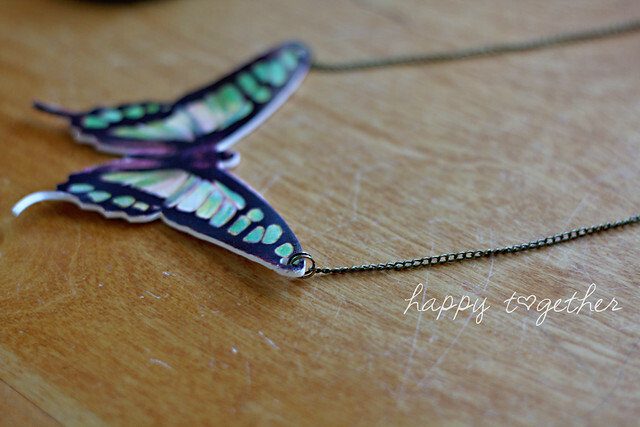 Then attach a jump ring to each butterfly wing using your needle nose pliers and then add the chain to it. I somehow wasn’t paying attention and got a double jump ring and it was a bit of a pain to work with but it was more secure. If you do not know how to attach a jump ring, see here. Then on the other end of the chains, attach a jump ring to both sides. Then add a clasp to one side. Now it’s ready to wear or give as a gift. Those are neat! Nice job, and I’m just impressed with the idea of the shrinky paper. That never would’ve occured to me! This is perfect! I am making these for Christmas gifts! I had bought Shrinky Dink print paper last year, but never used it, so now I know what to use it for! Thanks for the inspiration! Yay! Can you believe I bought the printable Shrinky paper YESTERDAY? 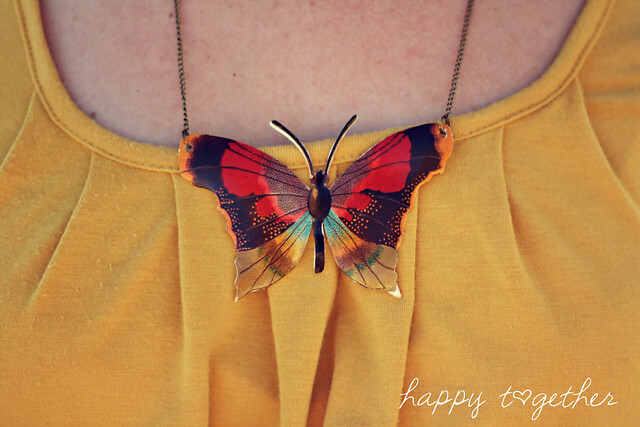 I had the same idea (necklaces, not the butterfly specifically)!!! I was talking to the lady at the checkout counter at Hallmark and she had never even HEARD of Shrinky Dinks. That cracked me up. BEAUTIFUL! I would wear that any day! Jess, you are full of good ideas! 🙂 I love the green toned butterfly. thank you for sharing. 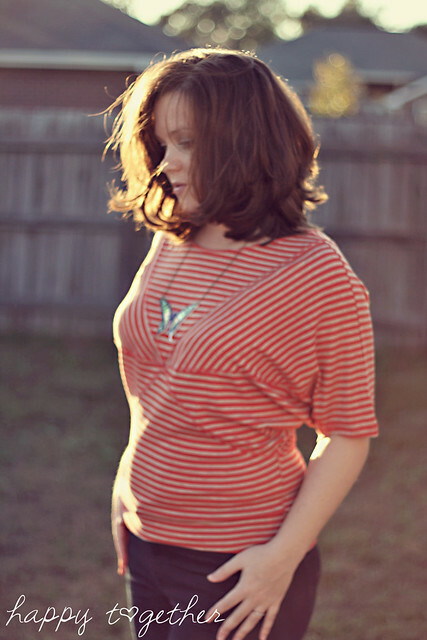 amazing blog. Absolutely love these. Too bad they take up a whole sheet of the Shrinky Dink paper. 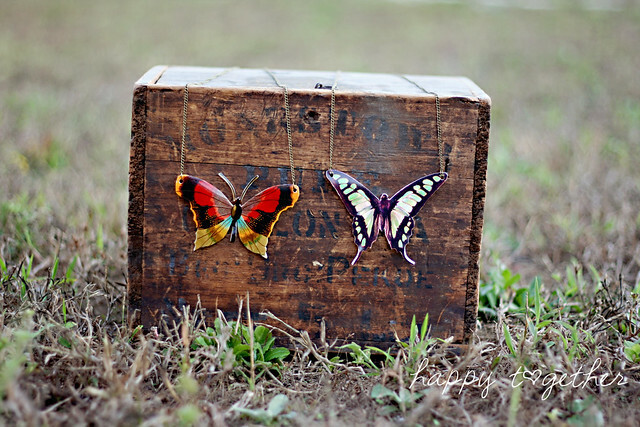 Love the butterflies you chose, will definitely be checking out that image site. I hope you don’t mind but I’ve included you in Tutorial Thursday this week too! You come up with such lovely ideas! 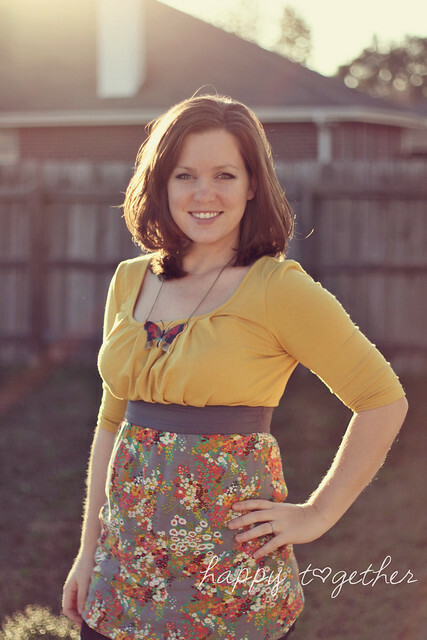 REally gorgeous – I love these! Pinning.